As Christians, we are called by God to be a powerful influence on the people we encounter. Too often our busy lives leave little room for strategic and on-purpose living. At times, we may even feel unqualified to leave a positive Kingdom impact. 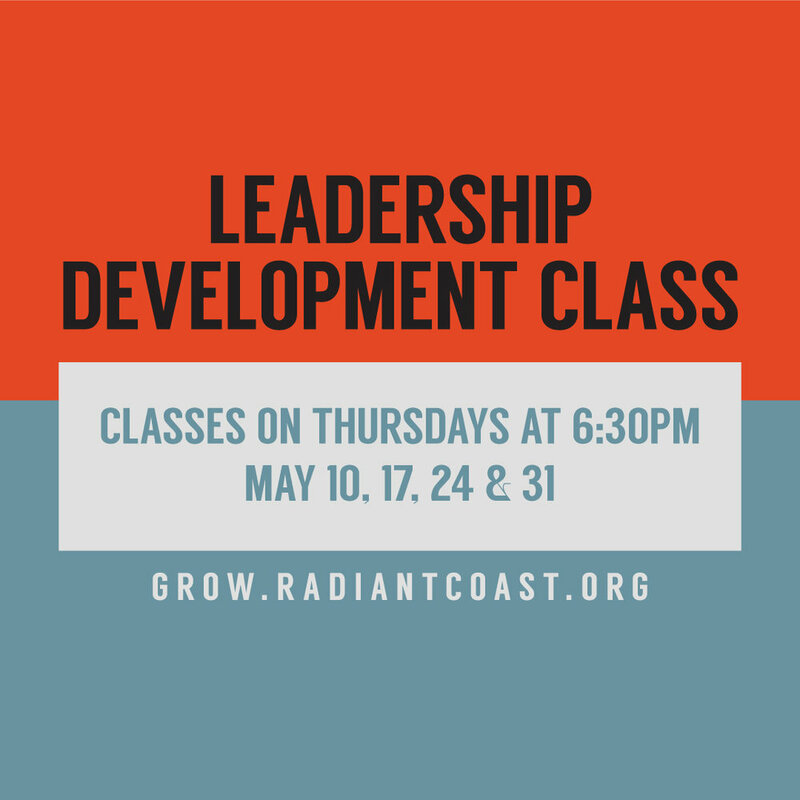 To help equip you, Radiant will be hosting the Leadership Development Class on Thursday nights in May from 6:30pm to 8:00pm. These classes will be lively, challenging and interactive. Together, we will grow in our knowledge and ability to put Biblical leadership principles into practice. Childcare and all class resources are provided at no cost. Registration in advance is required.